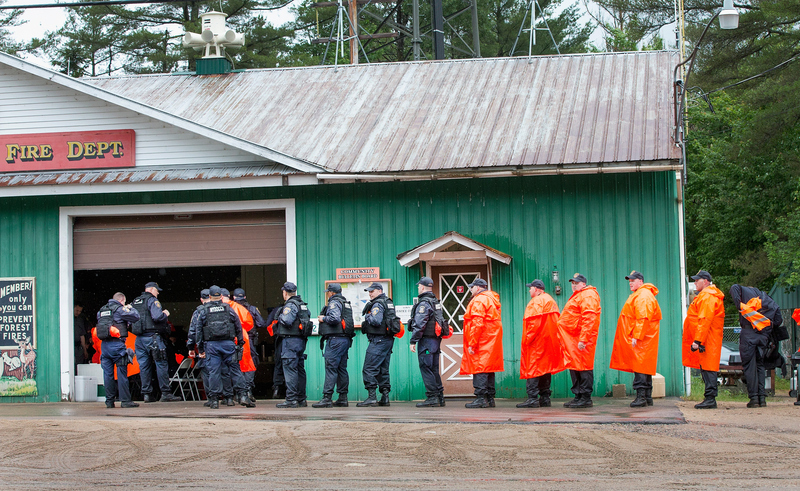 What If David Sweat & Richard Matt Had Made It To Canada? What Then? The manhunt is officially over. David Sweat, the second escaped New York prisoner who led police on a wild chase nearly out of the country, has been captured by authorities. Sweat and Richard Matt were allegedly heading to Canada following their June 6 escape. Fellow escapee Matt was shot and killed earlier this week, gunned down just 20 miles from the Canadian border near Lake Titus, New York. Sweat made it only slightly further before being taken into custody after he was found in the small town of Constable, New York, a little over five miles from the Canadian border. Though Sweat may have been eying freedom once he left the country, his hopes were sadly misguided. Our neighbors to the north have a fairly strong mutual agreement with the US and Sweat would have certainly been extradited from Canada. Authorities had been working with the Royal Canadian Mounted Police to ensure that the two were caught no matter which side of the border they ended up on. According to RCMP Corporal Francois Gagnon, the Canadian police force had been working alongside the FBI and other officials. Just last week, Gagnon had told AFP that "we received information that we're trying to collaborate that the pair entered Canada" and were searching for the escapees in Quebec. The US and Canada have been in mutual agreement regarding extradition for decades. The Canada International Extradition Treaty with the United States was signed in 1971 and enacted five years later. Under the treaty's terms, anyone who commits or attempts to commit the breaking of federal laws as well as conspires as such will be extradited back to their respective country, in this case either the US or Canada. The request for extradition is an understandably lengthy process, involving a release of the suspect's description, their offending crime, possible warrant of arrest or sentencing document. Those who've either served their respective sentences or had their cases thrown out may not be extradited. Likewise, any crime that was committed past a state's respective statute of limitation will not warrant extradition, either. In the case of Sweat and Matt, both men were serving federal prison sentences after being convicted of murder with little hope of a release date. Thus, even if the two would have made it to Canada in a day, had they been discovered, the country's authorities would have detained them. They would then go about the necessary steps to get them back to the US. The transport of the two would be paid for by the US, adding an additional expense to a manhunt that has involved many and spanned days, but which is finally over.